This archaeological project aimed to compile a burial register for the Bedlam burial ground excavated by Crossrail from 2011-2015, in order to find out who was buried there and where they came from. The knowledge generated from this project will be a useful source of reference for future excavation and research. 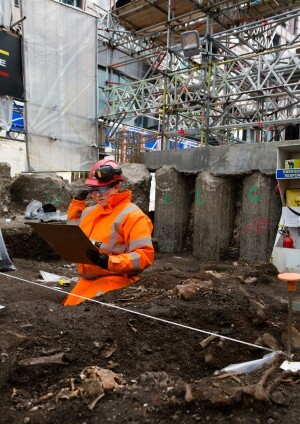 Furthermore, this is a great opportunity for the general public to become involved in the archaeological excavations brought about by the Crossrail project. This project has shown that crowd-sourcing can be a very successful method to engage the public in archaeology and in addition conduct important research, which would otherwise not have been done, due to restrictions on time and funds.